Broadcast seeding in late winter, or frost seeding, is a widely used strategy to bolster pasture productivity or add new species to the forage mix. Though not as reliable as seeding with a drill, frost seeding has still been proven as effective and budget friendly. Its success is contingent upon freeze-thaw cycles that enhance seed-soil contact. In the Midwest Forage Association’s Forage Focus publication, Newman noted that orchardgrass and perennial ryegrass have been found to have good early spring growth, developing a dense ground cover. Species such as smooth bromegrass, timothy, and reed canarygrass are slower to germinate and develop. They all require energy to develop storage reserve structures such as rhizomes and haplocorms. Those species can be frost seeded, but any results likely won’t be realized until the year following seeding. 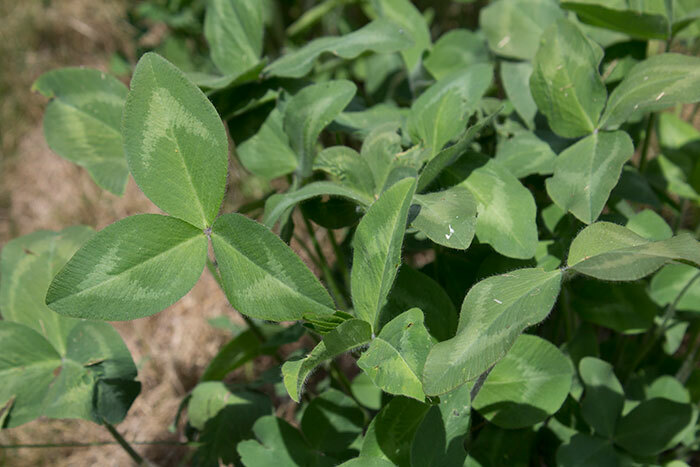 Legumes are generally a better bet for successful frost seeding than grasses. Perhaps the most commonly frost-seeded forage species is red clover. No other species can match its success rate, though birdsfoot trefoil has also been seeded with good results. “Grass sod suppression is critical to effective frost seeding,” Newman said. “To accomplish this, mow or graze in the fall if possible. Additional mowing or grazing in the spring is also needed to reduce competition until new seedlings establish,” she added. Newman also reported that alfalfa, white clover, and ladino clover have also been frost seeded with varying degrees of success. She noted that less dormant alfalfa varieties with good winterhardiness will result in the highest likelihood of success.